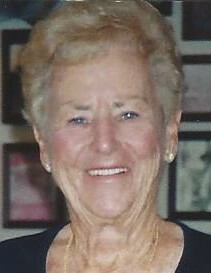 Claire T. (Fleming) Cayer 91, of Port Charlotte, FL and formerly of Woonsocket, died Wednesday, August 29 in Fawcett Memorial Hospital, Port Charlotte. She was the loving wife of Roland J. Cayer. She was born in Woonsocket, the daughter of the late Richard and Pamela (Lemoine) Fleming. Claire was a stitcher for the U.S. Rubber CO. in Woonsocket and also an assembler for AT Cross for many years. In addition to her husband she is survived by her sons; Craig Cayer and his wife Francoise of Venice, FL, and Michael Cayer and his wife Kelly of Florida, and six grandchildren, Rebecca, Jacob, Michael, Michelle, Robert, and Jen. Her funeral and burial will be private.